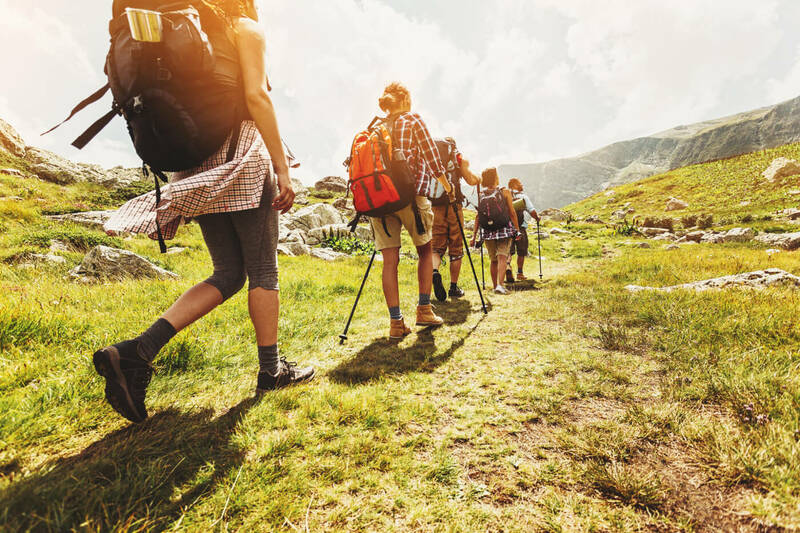 What can be nicer than a walk through Devon countryside or along the coast, followed by a drink or two (and maybe tasty lunch or supper) in a cosy, welcoming pub? Call us biased if you will, but we reckon Devon is heaven for walkers. At the end of each day, you’ll find most of the Helpful Holidays team enjoying the great outdoors (usually with canine companions, and sometimes hitching a lift on two wheels or four legs), so we like to think we know a bit about the best places to explore in Devon. 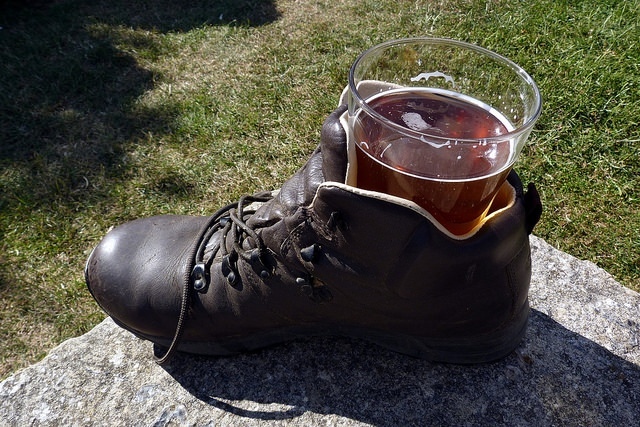 We’re pretty hot on the best hostelries too! Ease into it with an easy couple of miles! Keep right on the hill down past Helpful Holidays’ converted chapel HQ until you find the footpath which follows the River Teign. Leave time for distractions – this is a scenic stretch with unusual wildflowers, the plop of jumping fish, wild ducks bobbing by and the flash of a kingfisher if you’re lucky. There’s a weir pool for some wild goosebump-inducing swimming and Billy Goat Gruff bridges for children. When you meet the road you can swerve left for a dip in the famous river water swimming pool or it’s back uphill to the picturesque thatched Three Crowns and unpretentious but rather splendid refreshments. Stay at Beechlands sleeps 12) in Chagford, dog-friendly and on this walking route. Turn right from the pub to Horndon hamlet and another right at the red phone box. The road becomes a rough track down to the River Tavy. Where a leat passes beneath it, take a left over the stile and follow the level track beside the leat with views over the Tavy valley and White Tor. After about a mile and half the leat joins the river at Hillbridge. To return to the Elephant’s Nest via a different route with views of Dartmoor and Brentor, climb the path to the left of the bridge and turn left on the road. Pass through the big gate with a house the other side and follow the stony track for about 20 minutes to open moorland. You can then follow the road back towards Horndon by bearing left. The Elephant’s Nest has open fires or a garden with Dartmoor views for whatever the weather. Now we’re getting serious! This is a lung-busting march from almost sea level to the highest point on Exmoor, but – wow! – the views are worth it (and The Royal Oak will welcome you back and set you right with a roaring log fire, a reviving pint and a warming dose of yep-I-did-it satisfaction). 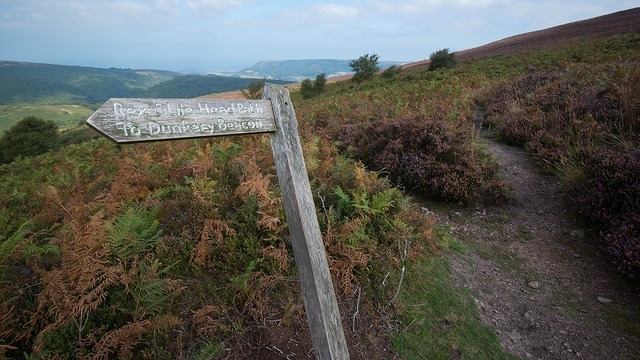 Start from Porlock church and 200m along the road going south you’ll find the bridleway into Hawkcombe Woods (enjoy the birds in this nature reserve). On leaving the woods and passing Lucott Farm, pick up the bridleway up Tarr Ball Hill to Wilmersham Common. 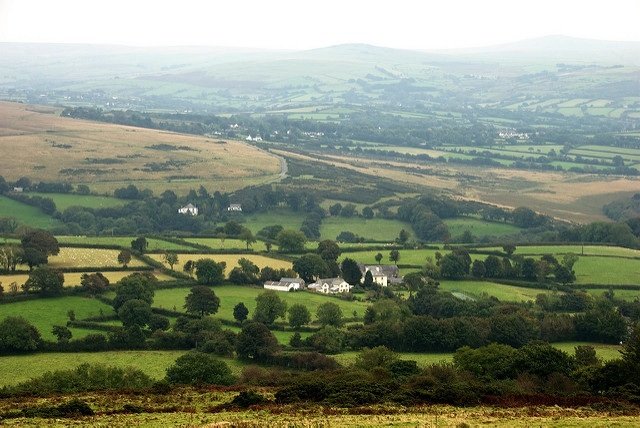 A path on the high ground leads to Dunkery Beacon, where on a clear day you can see both the Bristol and English Channels, the Brecon Beacons in Wales, Bodmin Moor and Dartmoor to the west and even Cleeve Hill, nearly 90 miles away in Gloucestershire. This is the walk for anyone with a love of mystery, history and romance. 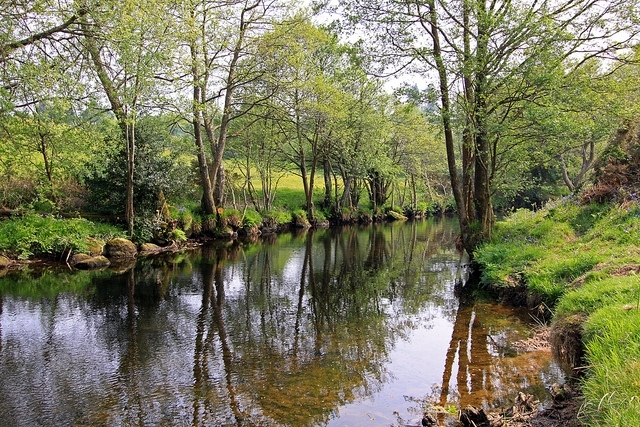 It’s a spectacular river-trail walk that follows a well-signposted section of the Two Moors Way to Tarr Steps, an ancient clapper bridge over the River Barle. From the pub, follow the small lane out of the village to where the Two Moors Way is signposted, crossing a field into some woodland down to the river. 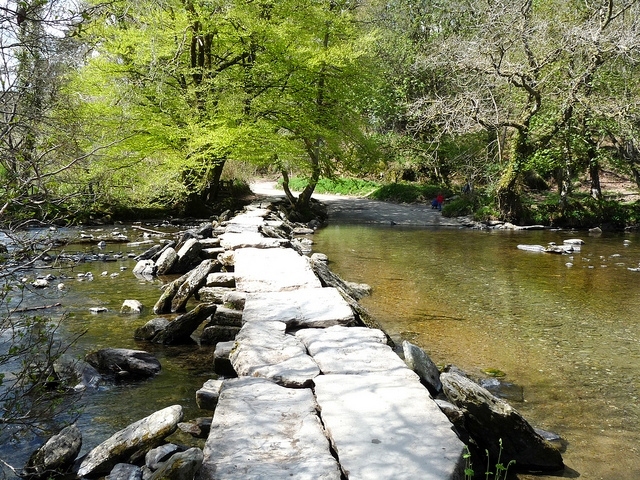 Follow the path (mind your footing) to Tarr Steps. The return route rises out of the valley to meet the Exe Valley Way and over Withypool Hill with 360-degree views, a tumulus and a stone circle. Then it’s back to a warm welcome at The Royal Oak where it’s said RD Blackmore wrote part of Lorna Doone. Stay at Nethercote Byre or Barn Cottage (both sleep 8), both pet-friendly. A popular four mile South West Coast Path walk from Brixham’s pretty harbour to views of the South Devon coast from Berry Head with its wildflowers and guillemot colony. Take the Coast Path from the harbour, then turn left on to the footpath after the Berry Head Hotel. 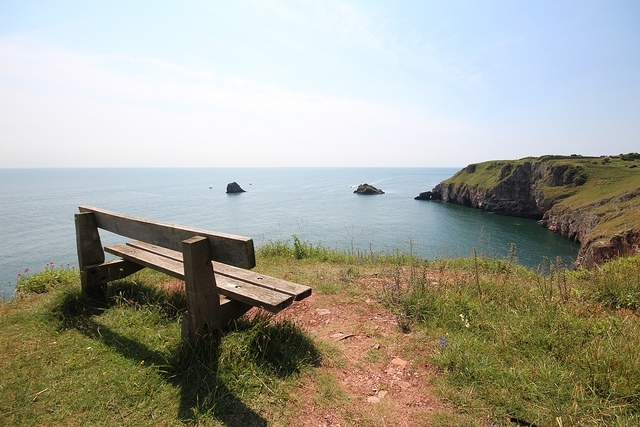 Enjoy the sights from Berry Head (keep an eye out for harbour porpoises and seals), then return to the Coast Path and from Hoseasons Bay take the caravan site service road. Cross Mudstone lane and continue along a footpath to Briseham Road, then first left (Penn Lane). At the crossroads turn right, then right again into Greenwood Road. The Crown and Anchor is an historic fishermen’s pub on the inner harbour, which has been pulling pints since it served William of Orange in the 17th century and will now serve you cracking Brixham crab sandwiches. This scenic walk is popular with visitors –it’s not long, but we recommend at least two hours to linger and take in the stunning river and coastal views and glimpses of wildlife. From the Ship Inn, head out of Noss Mayo and through National Trust Ferry Wood and then Passage Wood, winding your way along the banks of the River Yealm with its bobbing boats. 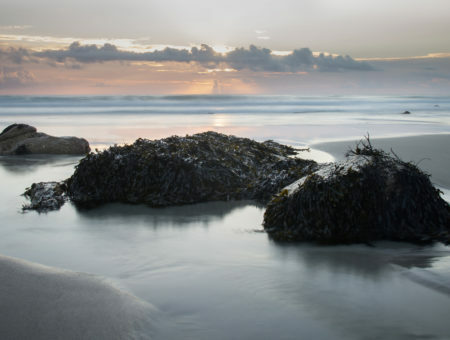 As the estuary widens towards the sea, you’ll spot Wembury Point and the Great Mew Stone, a beautiful coastal area rich in marine wildlife. As you come out of the woods, bear left round Mouthstone Point and follow the coastal path east. Continue past Gara Point and a chain of little coves until you get to Blackstone Point and more fab views. This level path is Lord Revelstoke’s Drive, created for his wealthy guests to travel in comfort by carriage and admire the scenery. After the path loops Blackstone Point, turn on to the inland footpath which will take you to a car park. The lane to the left of the car park entrance leads back to Noss Mayo and a drink or bite to eat at the Ship Inn with its lovely water views. Stay at pet-friendly Gamehouse Cottage (sleeps 8), once part of Lord Revelstoke’s estate, Brook Cottage (sleeps 6) or Cherry Tree Cottage (sleeps 4), which welcomes pets and is within stumbling distance of The Ship. 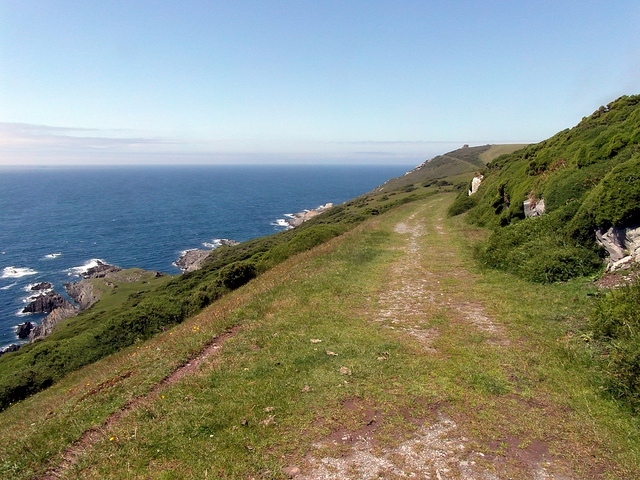 This walk of about six miles will take you along the cliff edge to marvel at the wildness of this ‘Iron Coast’ and its Atlantic breakers, which can have a force of three or four tons per square foot and have been the downfall of many a ship. The more gentle return to the friendly Old Smithy via pretty woodland and Thomas Hardy’s in-laws’ house will give you a chance to catch your breath and rearrange your hair. Take the lane and path from Welcombe village to Welcombe Mouth where you pick up the South West Coast Path heading north. 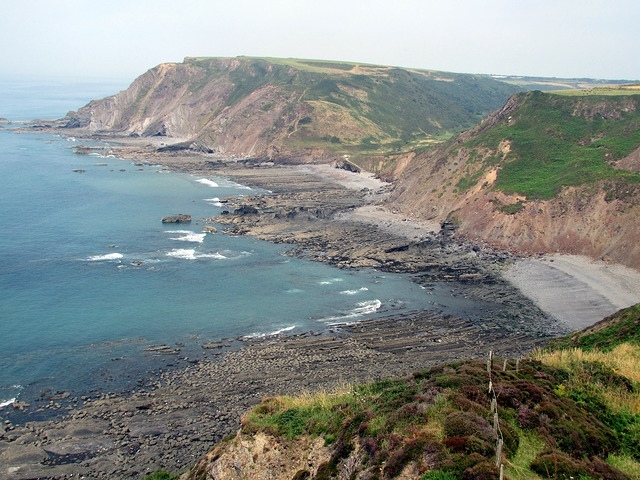 Follow it around Knap Head and then Embury Beacon, along sheer cliffs with a dramatic drop to rocks below. At Embury Point see if you can spot the remains of a Bronze Age burial mound and Iron Age fort. Fork left with the Coast Path around Nabor Point, a notorious watery grave – seven ships were wrecked here in two decades of the 19th century and local fences were made of shipwreck timbers with figureheads relocated to churchyards and gardens. In front of the mast, leave the Coast Path to take the right-hand path to the road. At the road turn right, bearing left along the lane when the road curves downhill. Follow the path behind South Hole (Hardy’s in-laws’ home) to meet the road again. Bear left and when a small road leaves on the left at Parkvale Cottage, stay ahead through woodland around the base of the hill. At the Cranham junction bear right, and follow signs back to Welcombe Mouth. On the road back to Welcombe village, look out for The Hermitage where Deep Purple wrote one of their most successful albums. The Old Smithy will give you a good old-fashioned welcome with open fires and hearty food – the owners encourage you to consider it an extension of your living room. Stay at Ley Park (sleeps 8).